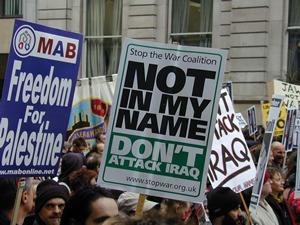 It is one of the great myths of recent political history – that the Liberal Democrats were opposed to Britain joining with US forces to invade Iraq in 2003. It is quite simply not true. 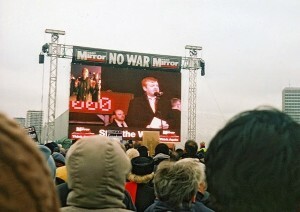 In the run up to the 2003 invasion, Liberal Democrat leader Charles Kennedy addressed the infamous anti-war rally in Hyde Park on February 15. He told the million-odd people who had marched through central London (including this author as a 17-year-old student) he had “yet to be persuaded as to the case for war against Iraq”. He also told the Stop the War coalition-led protest he was “not personally a pacifist”. 2. United Nations decisions have to be based on adequate information – which means full compliance with the weapons inspectors. 3. The British House of Commons must have the right to vote on any actions taken. So there it is: Charles Kennedy setting out the circumstances in which he and the Lib Dems would be in favour of a military invasion of Iraq. Get the second UN resolution and we back you. That is not: “We are opposed to any invasion of Iraq”. It may seem like a small difference – after all, Blair and Bush did not get the second resolution, and the rest is very recent, and very bloody, history. Remember, the Lib Dems were not opposed to sending soldiers into Iraq. They were just opposed to doing it without a second resolution. But Lib Dems still like to paint themselves as leading the crusade against the war back in 2003. Also remember, the Lib Dems supported Britain’s military invention in Kosovo, Afghanistan and most recently Libya. So when Nick Clegg accuses Tony Blair of attempting to “airbrush” his role in creating the current situation in Iraq, keep in mind the Lib Dems are not adverse to indulging in a spot of “airbrushing” when they claim they were anti-war. So while Iraq implodes and the US/UK have to go and eat humble pie in Tehran in a desperate attempt to save face, what really matters is what a has-been ex-leader of a party that is political toast come next election said a decade ago? Most Lib Dems voted for war in Syria. A party that actually unlearns. You’re scraping the bottom of the barrel so much here that it’s a miracle that there’s any barrel left. They clearly did not support the Iraq war and I’d say that “this is not legal until the UN allows it and we’ll not consider support until then” is as good a reason, if not better, than “we’re against war under any circumstance”. It may not be popular to say but I think it clear that sometimes war is the least worst option of a bad bunch, Kosovo being a good example of this. There’re many reasons to criticise the Lib Dems but this is not a good one, and I personally think their Iraq stance showed an intellectual and political maturity that that party is sorely lacking today. I agree. I was opposed to the Iraq war for basically the same reasons as the LIb Dems. This article seems to be arguing that anybody who was not a pacifist was not opposed to the war in 2003. By some distance this is the worst article I’ve ever seen on LFF. And that’s really saying something.